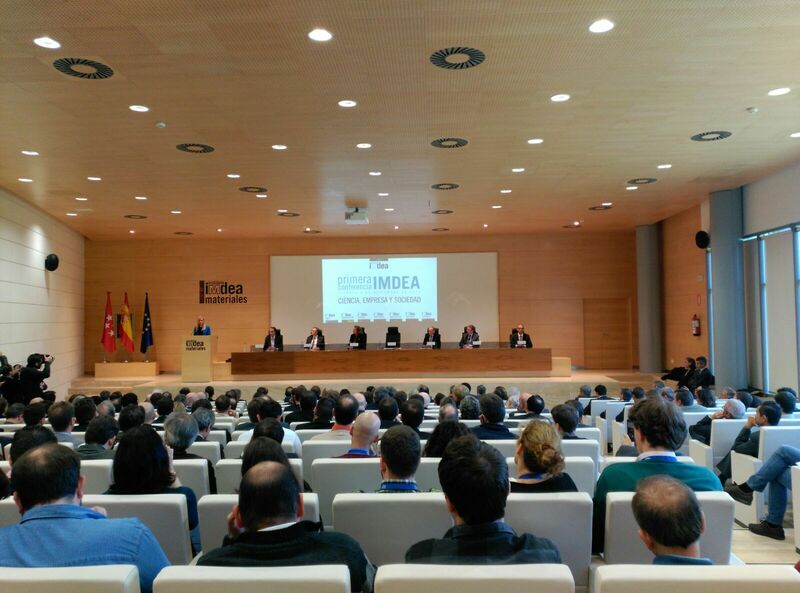 On Friday November 6th 2015 IMDEA Materials, one of the seven IMDEA Institutes, opened its doors for the I IMDEA Conference: Science, Business & Society. The event was opened by the President of the Madrid Regional Government, Ms. Cristina Cifuentes, and by the Spanish Secretary of State for Research, Development and Innovation (R&D&I), Ms. Carmen Vela. More than 300 invitees were received by the Director of IMDEA Materials, Mr. Javier Llorca, who qualified the conference as “the end of the beginning” for the IMDEA initiative. The IMDEA Institutes are now beginning a new phase full of optimism due to the fact that they have fulfilled their initial objectives, and will continue to strive to achieve the ambitious goals for which the institutes were established. Mr. Guillermo Reglero, Coordinator of all the IMDEA Institutes and Director of IMDEA Food, made a presentation covering the present, the past and the future program of IMDEA in which he highlighted the importance of a continued collaboration between the scientific community and the industrial sector in order to invigorate and strengthen the transfer of knowledge to the productive sector. The conference consisted of two different parts: During the first part, Industry and Society were the principal actors, while in the second part it was Science. 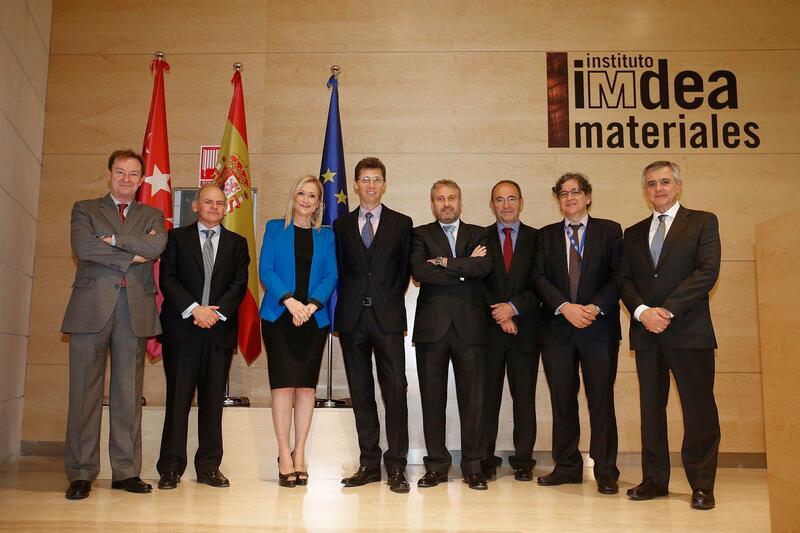 The objective of both parts of the conference was the same: To demonstrate that in the IMDEA Institutes science, industry and society have been working together for almost ten years with a view to attracting talent to Madrid, making internationally renowned science useful for the society as a whole by means of a solid and strong collaboration with industry. 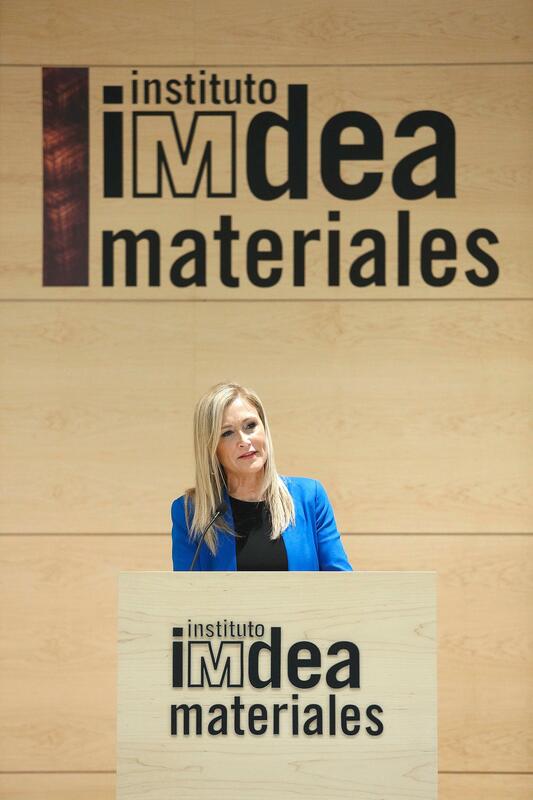 The President of the Madrid Regional Government, Ms. Cristina Cifuentes, closed the first part of the I IMDEA Conference, acknowledging that what was a highly ambitious project in 2006, i.e. the creation of first-class research centers in Madrid in order to attract talent and improve the system of technological knowledge transfer, is today a very successful reality. In less than a decade, the IMDEA Institutes have become a fundamental piece in the scientific and technological system of Madrid. In the second part of the conference, the scientific community was splendidly represented by some of the top researchers from the IMDEA Institutes who succinctly went over the work that is being carried out in their respective institutes. During the conference two main ideas were repeated by the orators: The first one being that science is a shared responsibility in that we all have to support the researchers who are the ones directly able to make it advance. The second idea shared during the conference dealt with the IMDEA Institutes being an excellent example of successful science. And the researchers who addressed the audience in the afternoon proved that these ideas are true. All without exception they presented projects that – using the words of Ms. Carmen Vela – are relevant to society and the generation of social wealth. All of the researchers aim to improve the life of the citizens through their scientific work, for instance by making the production of liquid biofuels more efficient, studying the possibilities of improving cancer therapies by use of diets, searching for new nanomaterials to produce hydrogen by separation of water, collaborating closely with industry to develop 5G networks in a secure and stable way, developing permanent magnets less dependent on rare earth elements, working towards the security and privacy of “the cloud”, and improving the water quality by reducing the content of cyanobacteria and Ciano toxins. The Director General of Universities and Research in the Madrid Regional Government, Mr. José Manuel Torralba, put the conference to a perfect end with his speech in which he hoped that the conference would be repeated as he felt convinced that it was the best way to “ensure teamwork”. Also he expressed his wish for the “IMDEA brand” to grow even stronger as a guarantee of the science of excellence carried out in the Madrid region. The I IMDEA Conference served to prove that in our community many hold a strong belief in science and technology, considering them “safe values” in order to improve the welfare in society. According to the Director of IMDEA Materials, Mr. Javier Llorca, in his welcome speech, it was “an amazing high”, to see how the conference participants supported the IMDEA Institutes. At the same time the President of the Madrid Regional Government, was of the opinion that “Spain is able to carry out state of the art research focused on the productive sector” and that “Madrid can become a scientific reference at international level”.